VATICAN CITY (CNS) — The first anniversary of Pope Francis’ election brought stories highlighting the unique style he has brought to the papacy. Maybe people have forgotten how much of what passes today for papal “tradition” was actually an innovation of Pope John Paul II. Frequent parish visits? Check. Joking with and leading a big crowd in a chant? Check. Sneaking out of the Vatican? Wait, that was Blessed John Paul who’d head out to go skiing or hiking. Pope Francis categorically denied in February that he had ever snuck out of the Vatican. The calendar of Pope Francis and of the universal church is filled with annual appointments established by Pope John Paul, who is scheduled to become St. John Paul April 27. 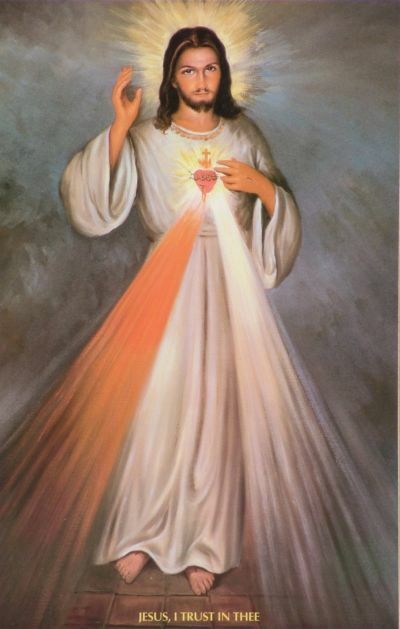 The day of the canonization is Divine Mercy Sunday — an observance Pope John Paul decided in 2000 to put on the church’s universal calendar the Sunday after Easter. The Polish pope was a longtime devotee of the Divine Mercy devotions of St. Faustina Kowalksa, whom he beatified in 1993 and canonized in 2000. Pope John Paul also instituted the annual Feb. 2 World Day of Consecrated Life, the Feb. 11 World Day of the Sick and a World Meeting of Families every three years. But welcoming hundreds of thousands of young people to the Vatican for a special Palm Sunday celebration in 1984, Pope John Paul launched what has become the biggest international gathering on the church’s calendar: World Youth Day. Explaining to the Roman Curia the importance of World Youth Day and youth ministry in general, Pope John Paul said: “All young people must sense that the church is accompanying them, therefore the whole church in union with the successor of Peter increasingly must be committed, on a worldwide level, to the good of youth, their worries and concerns and their openness and hopes.” At the end of the U.N.-declared International Year of Youth in 1985, he said young people were hoping for change in society and in the world; the church, which looks to youths with “hope and love,” must help young people realize that change by communicating the Gospel truths to them, supporting them as they seek God’s plan for their lives and educating them in living their faith. Of course, Pope John Paul left a mark on more than the church’s calendar. Surprisingly for many people, St. Peter’s Square didn’t have a Christmas tree or Nativity scene until 1982. Even after the College of Cardinals asked him to leave Krakow, Poland, and lead the universal church, he continued to keep Polish Christmas traditions; for years, he would invite fellow Poles to the Vatican on Christmas Eve to break “oplatek” (a Christmas wafer) with him and to sing Polish carols. He had been pope for four years when he asked the Vatican governor’s office to put some Christmas decorations in the square under his window, thus a new tradition was born. Some of Pope John Paul’s innovations had a lot to do with the fact that he was a very outdoorsy, fit 58-year-old when elected to the See of Peter in 1978. He liked to ski and walk in the mountains and, apparently, didn’t think that should change. As he grew older and weaker from Parkinson’s, the physical activity diminished, but he and a few aides never stopped slipping out of the Vatican on the occasional Tuesday for a drive to the mountains and a sack lunch al fresco. But he didn’t just head for the hills. Pope John Paul made the nine international trips taken by Pope Paul VI seem like a trifle; Pope John Paul took his message on the road, visiting 129 countries — several repeatedly — on 104 trips and logging more than 700,000 miles in a papacy that lasted more than 27 years.